In October, the delegates of Estonian Traditional Music Center attended The World Music Expo WOMEX. The expo, which is held annually in different locations throughout Europe, took place for the 24th time and was held in Gran Canaria. WOMEX is a gathering place for world music friends, artists and festival organizers. Over 2600 professionals from more than 90 countries took part of the event this year. 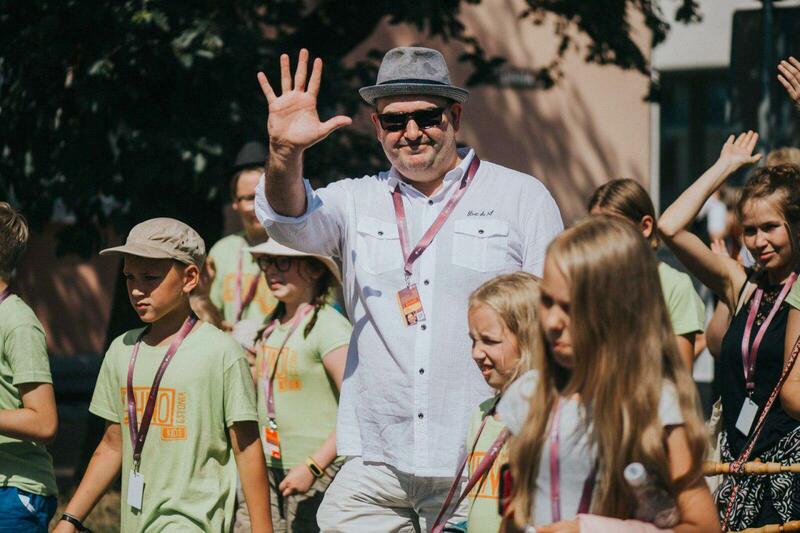 We asked the head of our festival Ando Kiviberg to share some impressions and ideas from WOMEX. What kind of event is WOMEX and why is it important for the Estonian Traditional Music Center to be there? WOMEX is the most important meeting place for the professionals in our line of music. It is a place to share information about the developments in music business from all over the world and meet artists who are on the brink of an international breakthrough. In its nature, WOMEX is like a compact model of the music world where the brightness of different sounds and colours are mixed with different languages, customs, tastes and attitudes. Daytime is for important meetings at the trade fair and for listening to artists (every lunchtime, two artists give a 45-minute gig) and to enjoy spontaneous performances by musicians at the end of the fair day. Night on the other hand, is the time to enjoy the concert programme, 4-5 stages are filled with music and the concerts last until the morning light. Please share some of the brightest moments from this year’s WOMEX. One of the most memorable moments was definitely at the end of the fair day on Friday: there was a reception at the stand of Quebec delegates and Mélisande, an electronic folk group were playing to create an atmosphere. It was all like you’d expect a good Quebec dance music to be – fiery fiddle accompanied by a strong step rhythm – when all of a sudden, a break dancer emerges from the crowd and starts to show off his exceptional break dance skills to a real genuine traditional music. It was all rather surprising and seemed so spontaneous (although actually it was carefully planned). By any means, I was thrilled. A more exotic and a very pure experience came from a Congolese group called Bakolo Music International who are playing rumba and who could easily be compared to Buena Vista Social Club from Cuba. The oldest members of the group are 80-something and they started to play the Congolese rumba or soukous already in the fifties in Kinshasa. Third amazing kick came from a Norwegian/Swedish group SVER who are proudly following the footsepts of the legends like JPP, Väsen, FRIGG or Tsuumi Sound System. Whether any of those artists are coming to Viljandi this summer – only time will tell. Find out more about WOMEX from HERE.